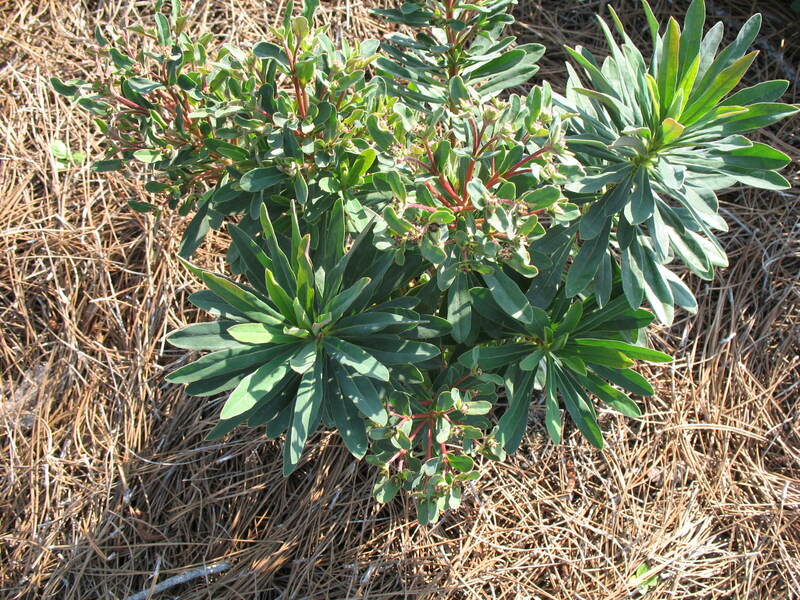 Comments: This is a hybrid euphorbia that produces succulent-like foliage and as the winter approaches the upper foliage turns reddish colored and fades to green as new spring growth appears. This makes an excellent container plant. Provide a well drained soil and full sunlight for best performance.